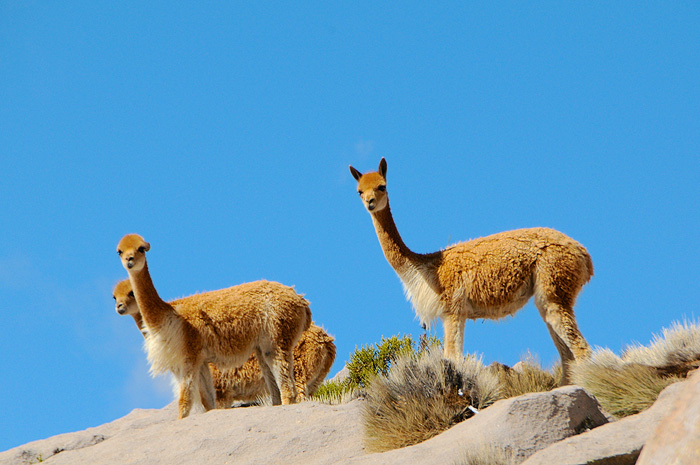 This fascinating all-day excursion will take you to the Lauca National Park, in the Altiplano region. On the way, the tour traverses the Lluta Valley, whose fertile irrigated land provides a surprising contrast to the dry desert. 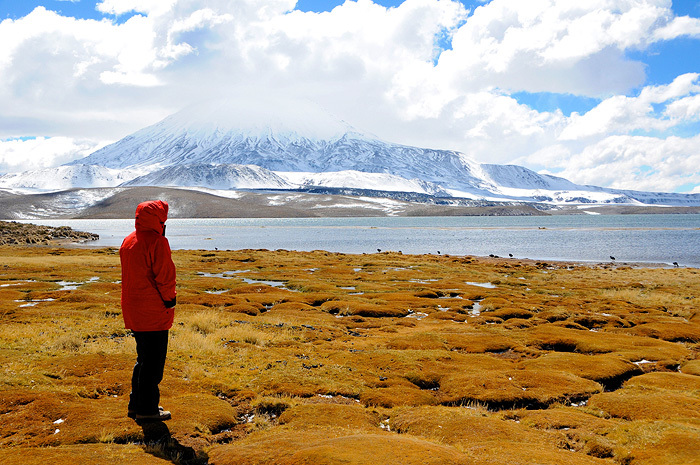 Mysterious rock paintings of lamas and humans cover the hillsides. Were they way markers from the time before the Spanish arrived? ‘Pucaras’ (fortresses) dating from the time of the Inca Conquest, as well as ‘tambos’ (Inca wayside inns), still line the route. 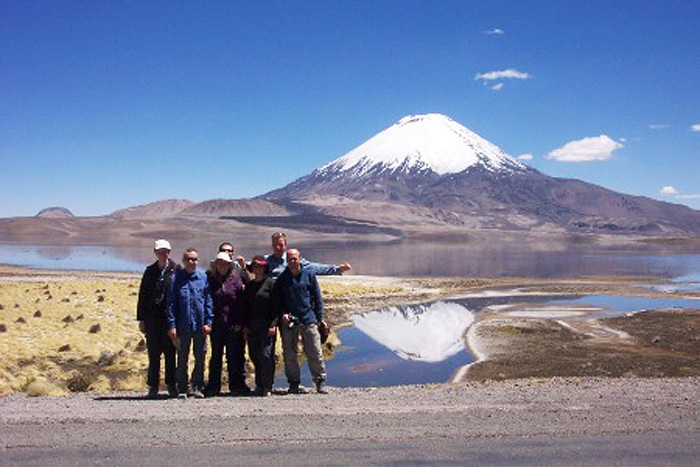 The tour leads to Lake Chungará (4,500m/14,764ft), whose emerald green surface beautifully reflects the snow-covered volcano of Parinacota (6,400m/20,998ft). 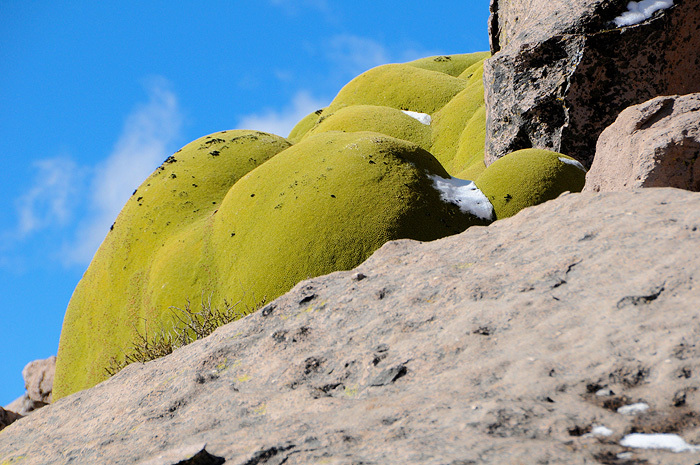 Stroll through pre-Hispanic highland villages, such as Putre (3,500m/11,483ft) and Parinacota (4,329m/14,203ft). In Parinacota, its small houses are picturesquely gathered around a small, 300-year-old, adobe church. Their churches date from the early 17th century and contain many interesting relics. 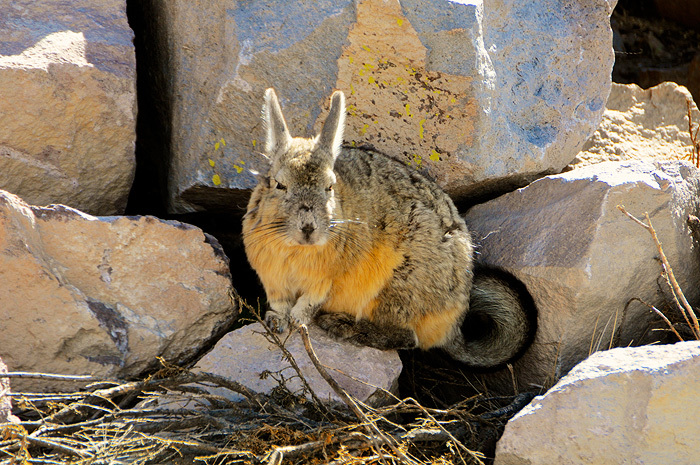 The Altiplano’s animal world is also impressively varied, ranging from guanacos, vicuñas, alpacas, pumas, and foxes, to flamingos, rare bird species, armadillos and skunks – to mention just a few. After lunch in Putre, we depart from the highlands and return to the Pacific coast, to Arica. The return journey will be the second time on this day, that you will have experienced a difference in altitude of 4,500m/14,764ft! We do not recommend this excursion for persons with altitude sickness or problems with their blood pressure as well as pregnant women.